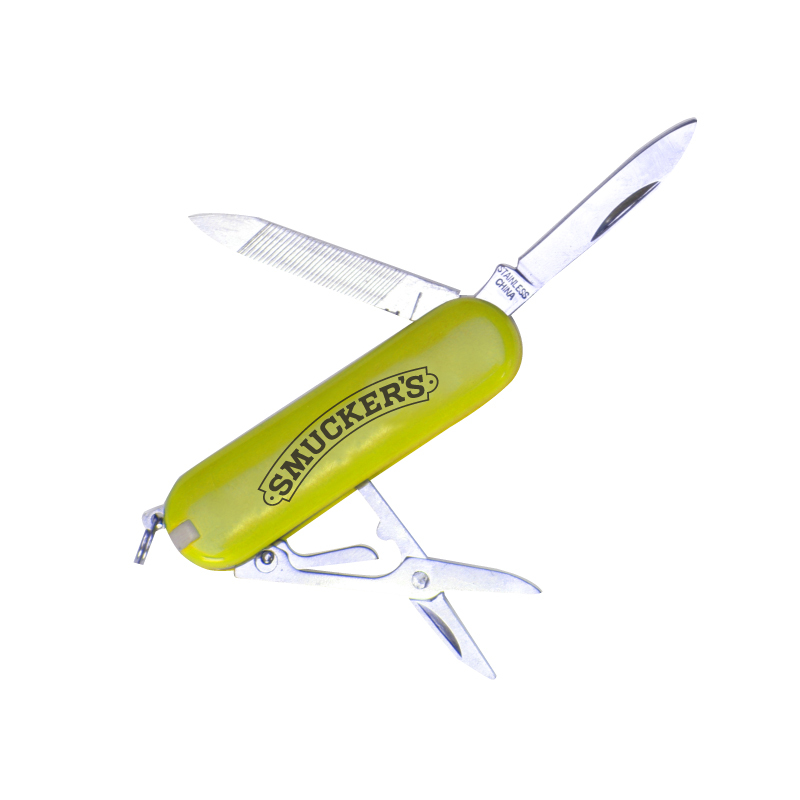 5-in-1 Swiss style mini multi-function pocket knife. Includes: scissors, knife blade, nail file, toothpick and tweezers. Imprint Area: 5/16" x 1 1/2"